Ages 6 weeks - 2 years . We believe children have a strong sense of identity. Ages 2 - 3 years . We believe children are confident and involved learners. Ages 3 - 4 years. We believe children are connected with and contribute to their world. Ages 4 - 5 years. We believe children are effective communicators. 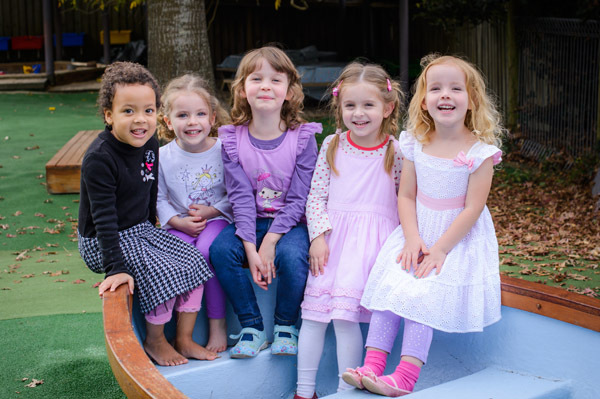 Koolyangarra was established in 1991 and is still owned and operated by an Early Childhood trained Educator who’s dream was to bring a quality caring learning environment to the Central Coast. Sharon, with her 45 years experience in Early Childhood Education and Care has shared her love of children and education with many families and the wider community. Kooly prides it’s self on having a loyal and committed team, many who have shared her journey for over 20 years. This longevity makes Kooly a family orientated environment. The staff over time have developed great rapports and friendships, providing continuity to the children and families. We endeavor to create a positive experience for children that is both educationally rewarding and joyous. Families and children attending our Centre are nutured to feel safe, confident and valued.